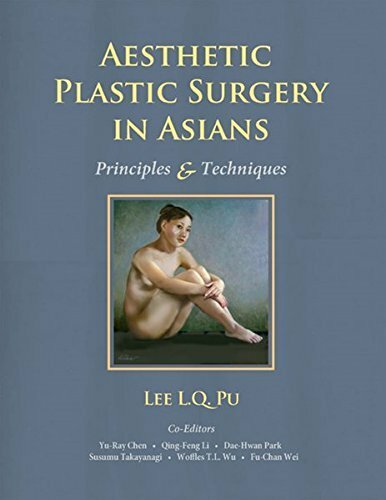 Aesthetic Plastic Surgery in Asians: Principles and Techniques offers a comprehensive guide to all aspects of cosmetic surgery in Asians, focusing on the differences in surgical techniques and general principles when treating these patients. 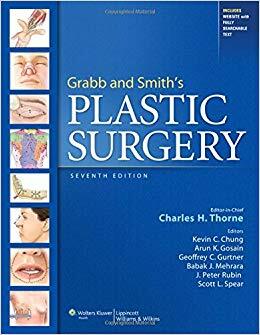 With special emphasis on minimally invasive techniques and minimization of scars, the book features contributions from surgeons in Asian regions who share their signature procedures and describe the latest innovations. The book is divided into ten parts. It begins with general principles and discusses the cultural and societal influence on Asian patients for cosmetic surgery as well as psychological and psychiatric considerations for Asian cosmetic patients. Next, the book covers facial rejuvenation with chapters on treatment for acne scars, laser skin resurfacing, fat grafting, and Botox. The book discusses the various approaches to face lift, including the classic face-lift and the short-scar method. A section on cosmetic surgery of the eyelid examines the special considerations in Asian eyelid surgery. It discusses upper and lower blepharoplasty, management of the sunken eyelid, and periorbital rejuvenation. A section on rhinoplasty covers alloplastic implants, autologous cartilage grafts, and primary open and closed rhinoplasty. The book also discusses cosmetic surgery of the ear and of the facial skeleton. The next chapters cover breast augmentation with implants, focusing on the transaxillary approach as well as the inframammary approach. 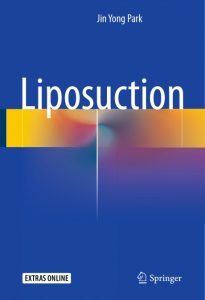 The contributors discuss augmentation with conventional fat grafting and cell-assisted lipotransfer. Also covered are mastopexy, breast reduction, and breast reconstruction with pedicled TRAM flap. The final chapters cover abdominoplasty, liposuction of the trunk, buttock augmentation, calf reduction, and other procedures such as hair transplantation, penile enhancement, correction of varicose veins with endovascular laser, and correction of osmidrosis. 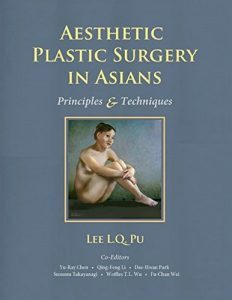 Illustrated with over 2500 top-quality full-color drawings and photographs, and with three DVDs showcasing supplementary surgical techniques videos, this title is an absolutely indispensable resource for anyone involved in the aesthetic treatment of Asian patients. 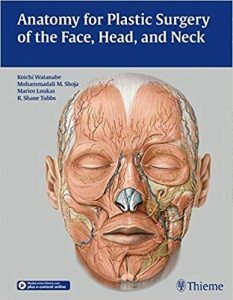 Anatomy for Plastic Surgery of the Face, Head, and Neck details the complex regional anatomy of the face, head and neck, providing plastic surgery and otolaryngology residents with a solid anatomical knowledge base. 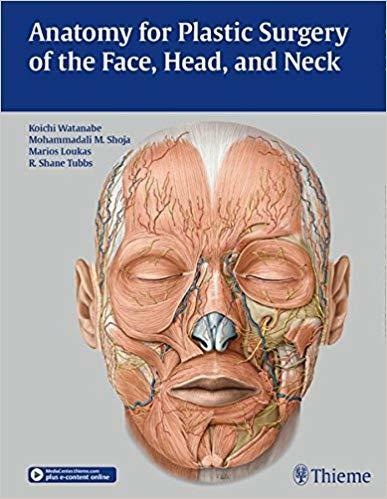 There are many danger zones involved in operating on the head and neck, and the detailed knowledge of anatomy that readers gain from this reference will help them avoid the surgical mishaps that often result in patient disfigurement. This excellent anatomical reference will be read cover to cover by young plastic surgeons and otolaryngologists, as well as residents in these specialties. More experienced surgeons will refer to it whenever they need to learn about an unfamiliar area of the head and neck. A powerful safe way to a more youthful and natural beauty takes just minutes to achieve. This third volume in Scott-Brown’s Otorhinolaryngology 8e covers the sub specialty areas of Head and Neck Surgery, and Plastic Surgery. It is available either as a single volume specialty reference book, or as part of the classic and authoritative 3 volume ” Scott-Brown” set. 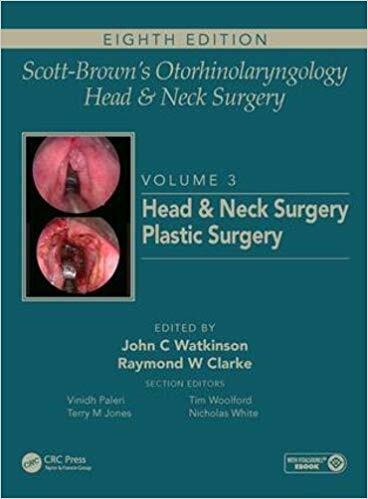 Edited by renowned experts, and including chapter contributions from leading clinicians, Volume 3 Head and Neck and Plastic Surgery is current, authoritative, and of wide clinical application. Grabb and Smith’s Plastic Surgery has long been considered the premier reference for plastic surgery residents and practitioners. So it should be no surprise that for this 7th edition major steps have been taken to completely revise and refresh its content. As always, this single-volume reference covers all major areas of plastic and reconstructive surgery, including pediatric issues. But updates in this latest edition include a complete reworking of the section on the Hand, an expansion of the dermatology coverage, a new section on body contouring, and 11 new chapters: Principles of Awake Sedation, Otoplasty, Congenital Anomalies of the Breast, Brachioplasty and Upper Trunk Contouring, Principles of Plastic Surgery after Massive Weight Loss, Anesthetic Techniques in the Upper Extremity; Management of Mutiliating Injuries of the Upper Extremity, Hand Tumors, Vascular Disorders of the Upper Limb, Management of the Burned Hand, and Rheumatoid Arthritis and Atypical Arthritic Conditions of the Hand. Features: chapters are short and high-yield; written by recognized experts, edited by a brand new editorial board; over 2,000 illustrations, including 1,500 in full-color; and solution site. Facial Flap Surgery delivers ready-to-use insights making surgical protocols more accessible than ever. Combining a text and atlas, this two-in-one resource also features an all-inclusive, yet streamlined presentation that is packed with hundreds of photographs and drawings that take you step by step through every procedure. 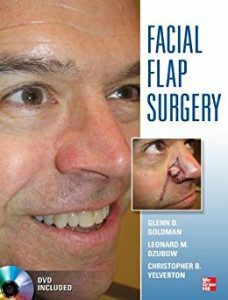 Written by pioneering, world renowned flap surgeons, this is the quintessential manual on the use of reconstructive flaps – with detailed, easy-to-follow instructions. Overview chapters on each major anatomical area provide a general approach to reconstruction, with detailed tutorials on workhorse flaps in the A to Z section. The didactic text is enhanced with high quality operative photographs, illustrations, and videos, resulting in a resource that enables integration of these techniques into surgical practice. This book is a stellar, step-by-step guide on the reconstruction of most anatomical defects using clinically proven flaps. It is an essential reference for practicing and trainee surgeons in general and specialized surgical disciplines. Plastic and reconstructive, trauma/burn, orthopaedic, otolaryngology-head and neck, and maxillofacial surgeons will greatly benefit from this comprehensive resource. 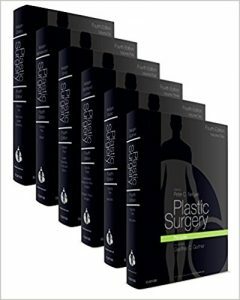 Comprehensive in scope, the 6-volume Plastic Surgery, 4th edition returns as the ultimate knowledge source in this most challenging of surgical specialties. It’s been completely revised to meet the demands of the trainee and practicing plastic surgeon, featuring brand-new color clinical photos, procedural videos, and lectures across all 6 volumes. Bonus material that includes additional text, images, and videos helps you improve your mastery of the latest techniques. Each easily readable, individual volume is a standalone comprehensive text full of salient and applicable anatomy and techniques. Bonus online material includes additional text, images, and over 150 procedural videos. Lead editor Peter C. Neligan creates a cohesive tone throughout the chapters and content across all 6 volumes. Evidence-based advice from a diverse collection of experts allows you to apply the very latest advances in every area of plastic surgery and ensure optimal outcomes. Easily find the answers you need with an organization that features separate volumes covering Principles • Aesthetic • Craniofacial, Head and Neck Surgery and Pediatric Plastic Surgery • Lower Extremity, Trunk and Burns • Breast • and Hand and Upper Extremity. Aesthetic volume covers: Facelift – The male patient; Energy-based devices for body contouring; Autologous gluteal flaps for augmentation and preservation of gluteal contour; Buttock shaping with fat grafting and liposuction; and Essential elements of patient safety in Aesthetic Plastic Surgery, just to name a few. Craniofacial and Pediatric Plastic Surgery volume covers: Computerised surgical planning in orthognathic surgery; Computerised surgical planning in craniofacial, head and neck surgery; and Rotation advancement. Breast volume covers: Device considerations in breast augmentation, breast implant-associated anaplastic large-cell lymphoma, surgical management of post-mastectomy lymphedema, gynecomastia surgery, and radiation therapy in the setting of breast reconstruction. Lower Extremity, Trunk and Burns volume covers: Lymphedema microsurgery; Transgender surgery; and Skin grafting and reconstructive surgery for burns. Hand and Upper Extremity volume covers: Pediatric and adult hand surgery; Nerve transfers; Tendon repair; and Functional prosthetics. 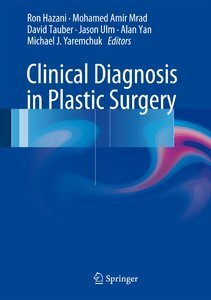 This book systematically presents a collection of entities, syndromes, and diseases that are diagnosed and treated by plastic surgeons, hand surgeons, otolaryngologists, oral surgeons, and dermatologists. The goal is to document an extensive array of signs and visual clues that are critical to the diagnostic process, thereby enhancing the clinician’s ability to identify relevant diagnostic features and make correct diagnoses. Skill in recognizing deformities and disease processes by observation is of vital importance in plastic surgery, which is very much a visual surgical specialty. In drawing together key diagnostic signs, this book will spare readers the onerous task of searching through endless resources, books, and websites. A helpful appendix details the various classification systems used in the book with the aid of appropriate diagrams. Clinical Diagnosis in Plastic Surgery is intended for students, residents, practicing physicians, and surgeons in all of the affiliated fields of plastic surgery. This book provides easy-to-understand descriptions of high-quality liposuction techniques applicable to different parts of the body, including the face, abdomen, breasts, arms, buttocks, thighs, and calves. The coverage also encompasses the liposuction treatment of osmidrosis and fat injection techniques (facial, breast, and stem cell). 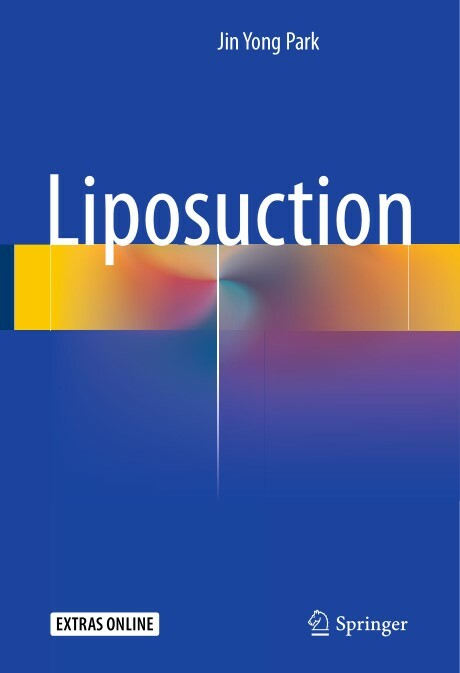 Drawing on his extensive experience of more than ten thousand cases of liposuction and fat and stem cell transplantation, the author presents important new theoretical perspectives and novel surgical approaches that he has personally developed. These include the MDMP technique (multi-direction, multi-position), which is straightforward to perform and offers significant benefits. All procedures are described step by step, from preparation through to completion. The book is superbly illustrated throughout, with a wealth of informative photographs that will aid the practitioner. It will be of high value for experienced plastic and cosmetic surgeons and also for residents and fellows.